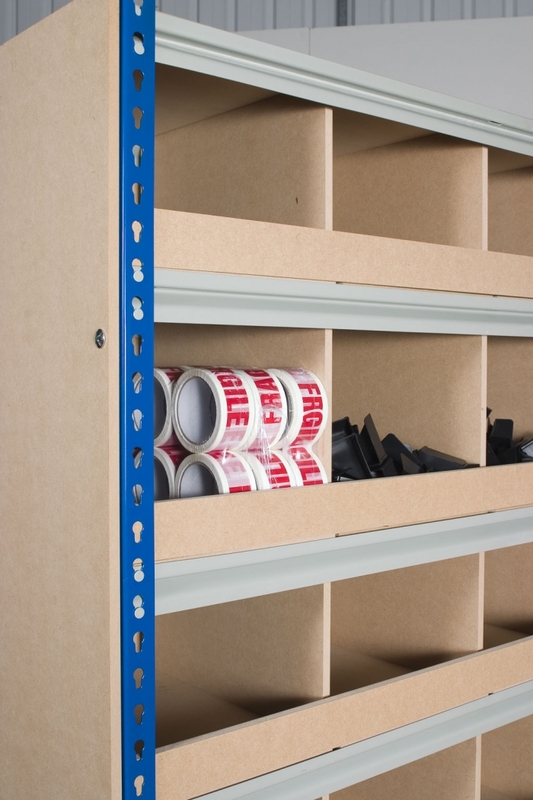 The pigeon hole system uses a metal structure and with a combination of MDF shelves, dividers and cladding you are able to create a unique and cost effective pigeon hole compartment system. 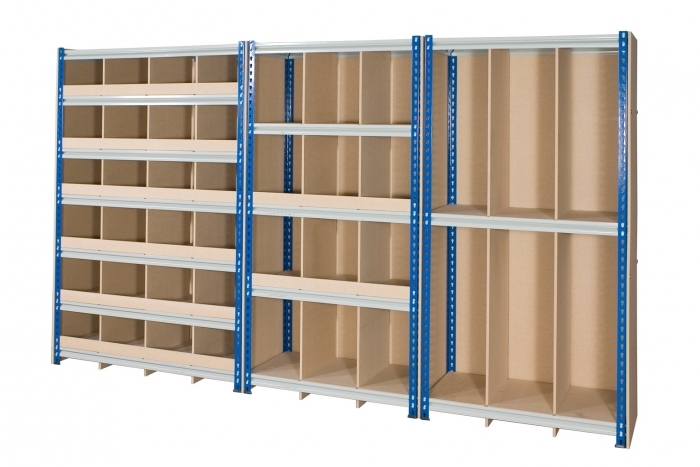 Bay comes complete with 5 shelves, bin fronts, end and back cladding. Once complete it will create a maximum of 20 pigeon hole compartments. 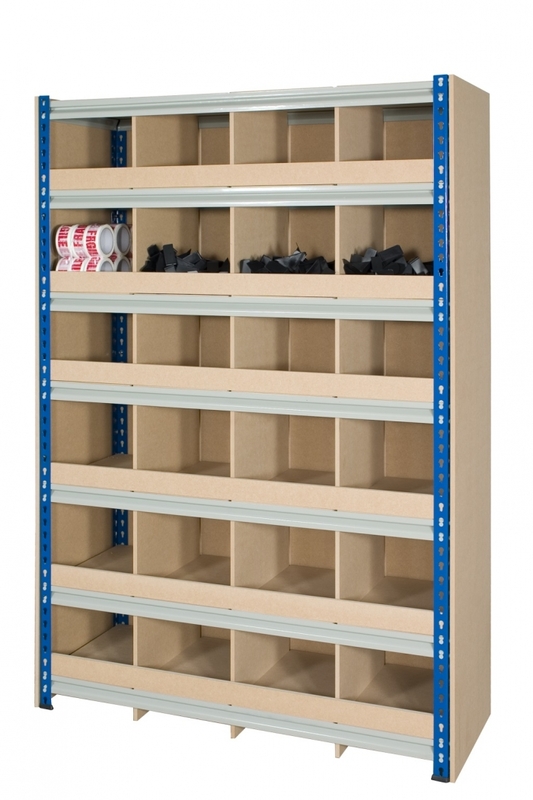 This pigeon hole bay measures 1830mm x 1220mm x 457mm.